Several Rombout members attended the Memorial Plaque Dedication for FDNY Firefighter Paul Tegtmeier, who lost his life in the Line of Duty on September 11, 2001. Members of the Rombout Fire Co traveled to FDNY Engine 4 / Ladder 46 in the Bronx on Saturday September 13, 2003 to attend the dedication of a Memorial Plaque for Firefighter Paul Tegtmeier. Paul was a good friend to many of the members of Rombout. 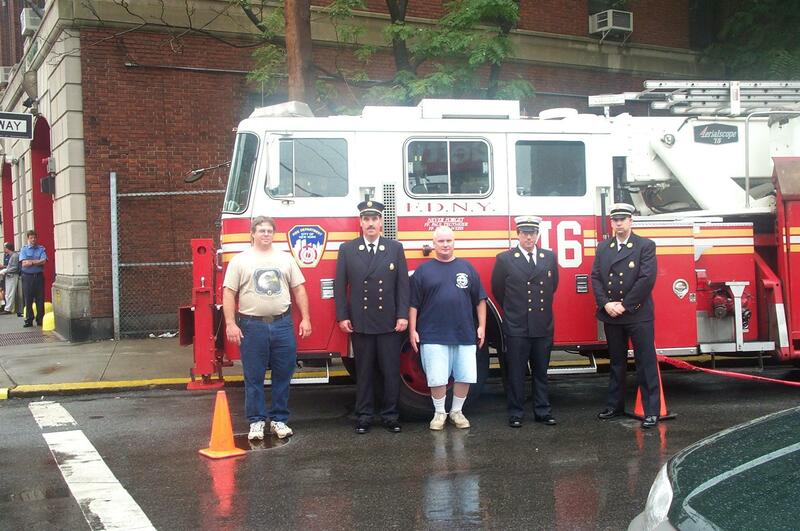 Pictured, left to right: Firefighter Paul Tompkins, Firefighter Brian Allison, Firefighter Mike Howard, Chief Jeff Marino, 2nd Assistant Chief John Cerrato, all standing in front of FDNY Ladder 46.